Whether this is your first visit or you are a previous visitor we hope you will find our web site useful. A new page has been added as a Collecting Guide for new stamp collectors. We are continuing to add country details and expanding the Stamp Identifier page with images and symbols as a further aid to identification. The International sets show a list of countries associated with large international sets. Typically these sets have been issued to mark an important event, such as a coronation, royal wedding, olympic event and other similar periods of interest to multiple countries around the world. If you find it difficult to identify a stamp, try scanning it at a high resolution. This will give you more detail than using a magnifying glass. 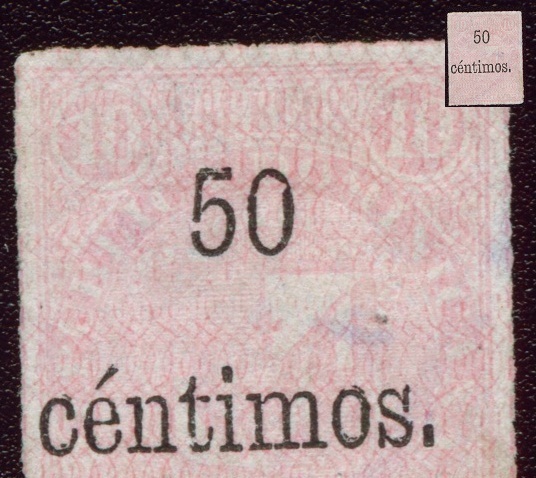 The image below is an example of this, I could identify the stamp as Republic Dominican once it was larger. If you do not have a scanner try photographing it.